﻿ What do I do if I fall and loosen my teeth? Although teeth are strong enough to tear through food, they are also fragile. 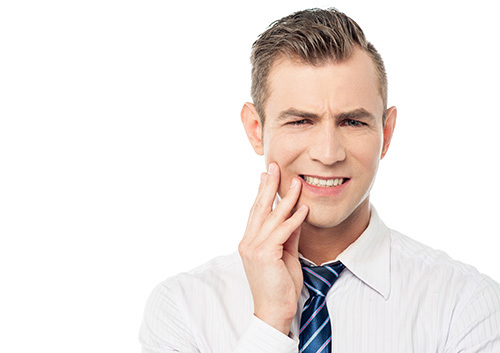 An accident such as a fall may loosen teeth or knock a tooth out entirely. When a child loses a baby tooth in this manner, no permanent damage is usually done. However, adults who loosen permanent teeth may need to visit our Savannah, GA office. If a tooth is very loose or nearly falling out, call Dr. Philip Friedman immediately. Immediate placement of the tooth back into the socket is needed to ensure its survival. In general, a tooth must return to its socket within two hours or it may be lost. In some cases, Dr. Philip Friedman may recommend splinting, in which teeth are joined together to strengthen them and reduce strain on an individual tooth. Tightening or straightening the tooth can restore your ability to chew regularly without stressing the loosened tooth.